This gallery is a first attempt at photographing small things using multiple focal planes and blending them for the purpose of achieving greater depth of field. The Black and white album describes the methodology, whereas this one talks about the objects themselves. 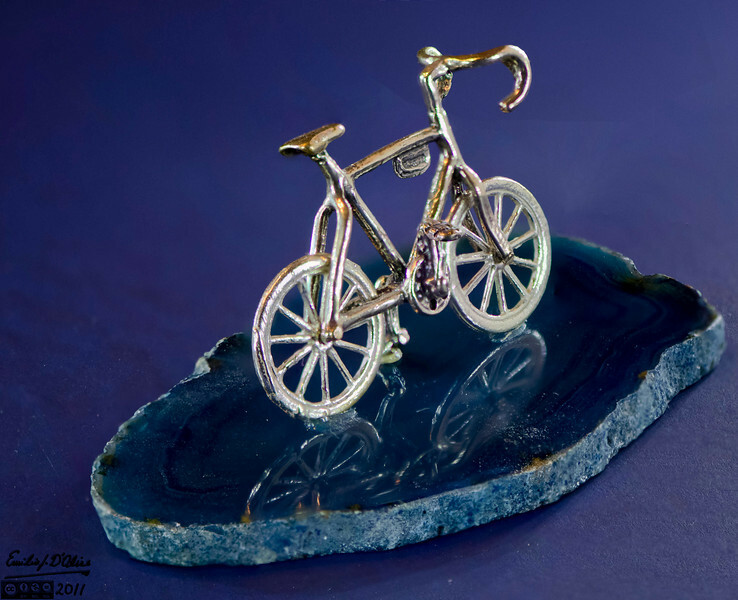 This miniature bicycle was give to me by my mother for one of my birthdays. It is very small. The bike itself can't be more than 3/4 of an inch tall if that.